Yesterday my husband and I experimented some more with the printing press. 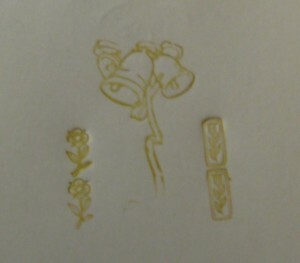 We set up the gauge pins and used multiple pieces of metal ornamental type. These experiments were less successful than Sunday’s, but I feel like I learned a lot about the press. I was not able to get a nice even print and this may be because I don’t have a Planar block to level the type, so it is very likely that the type itself was uneven. The gauge pins were very easy to set and use, which was nice. 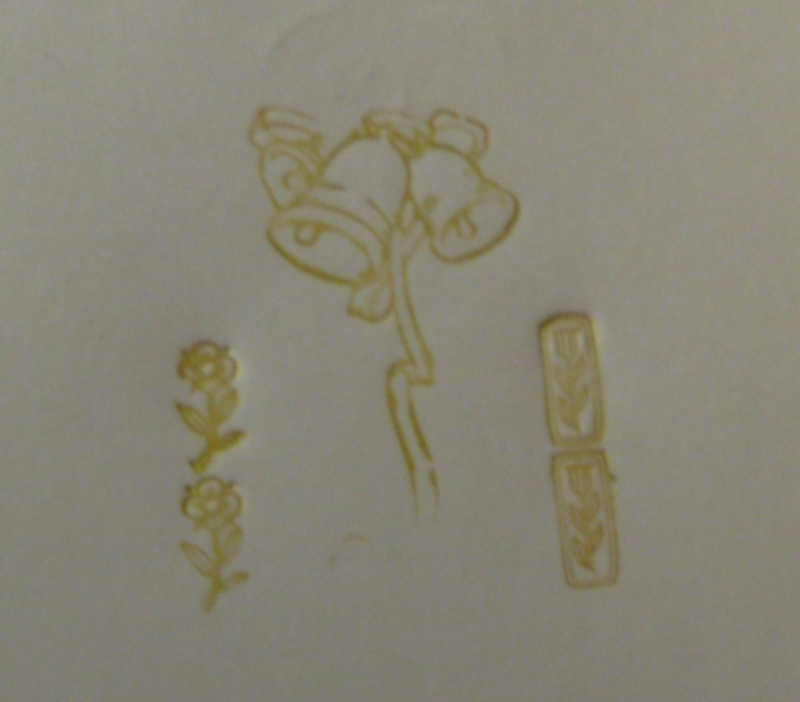 I still want to get hold of some type soon and I am going to carve some more linoleum blocks. Any suggestions for what I should carve?